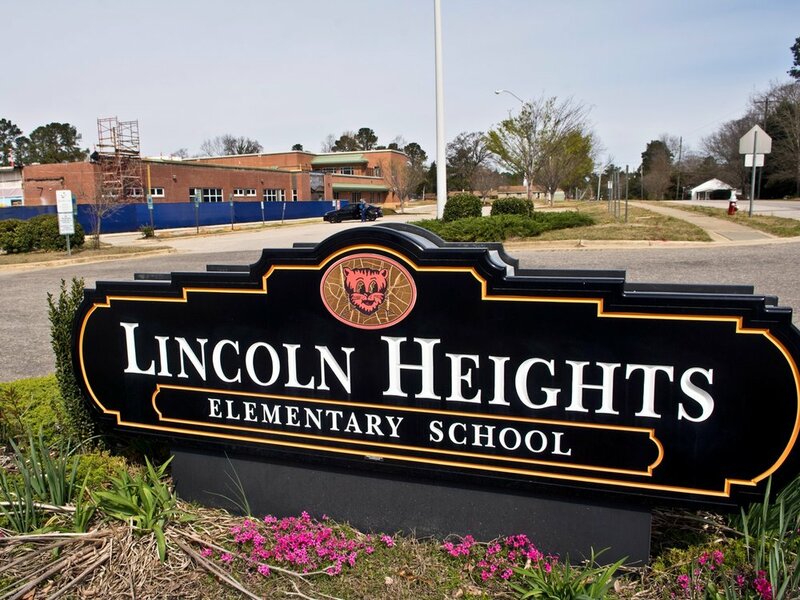 Lincoln Heights Elementary, a 50-year-old school in southwestern Wake County, had struggled in recent years. 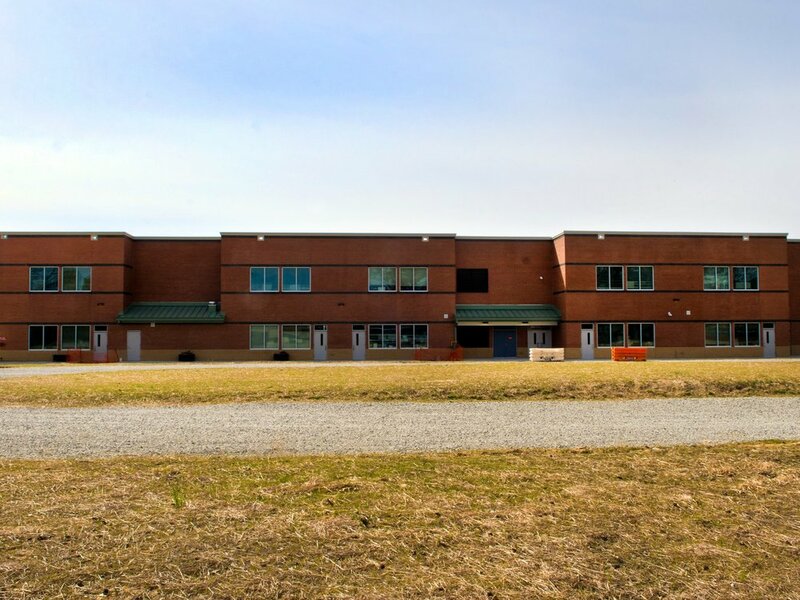 After dropping a popular gifted magnet program, the school's enrollment and test scores dropped, even as population in the town of Fuquay-Varina increased. To turn things around, the school adopted a new education model - STEM, which focuses on science, technology, engineering, and mathematics. The school has received an additional facelift in the form of a new, modern building equipped for the new curriculum. Alpha & Omega Group, as a subconsultant to Ramsay GMK, Inc., developed site plans, project management, and landscape plans for the renovation of Lincoln Heights. 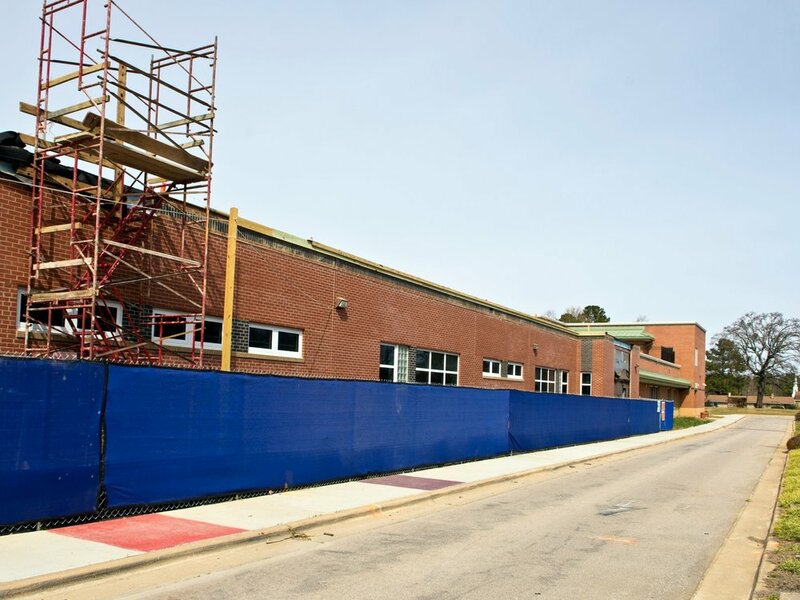 Selected existing buildings will be demolished, while others will be renovated and incorporated into the new 90,000 square-foot construction. The bus lane and car pool lane will also be revised. 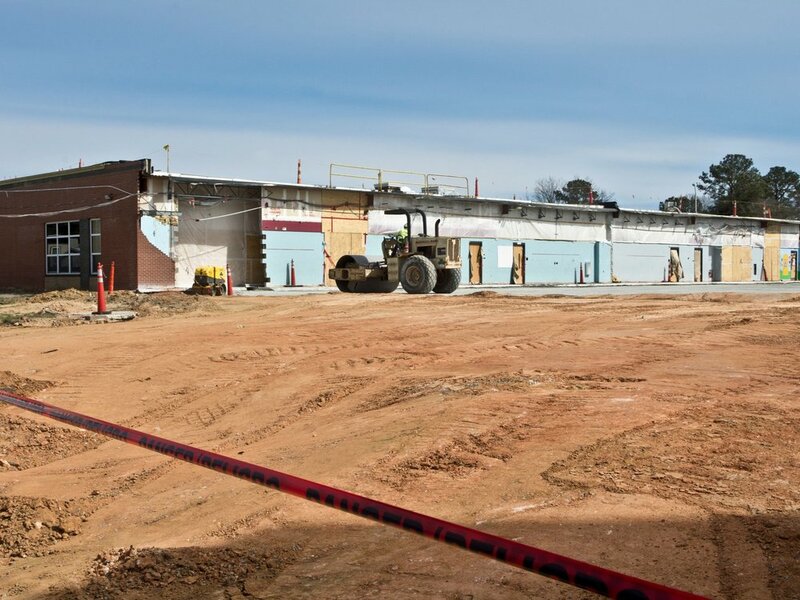 A&O prepared construction documents to obtain site plan approval through the Town of Fuquay-Varina in accordance with Wake County Public School System program requirements. 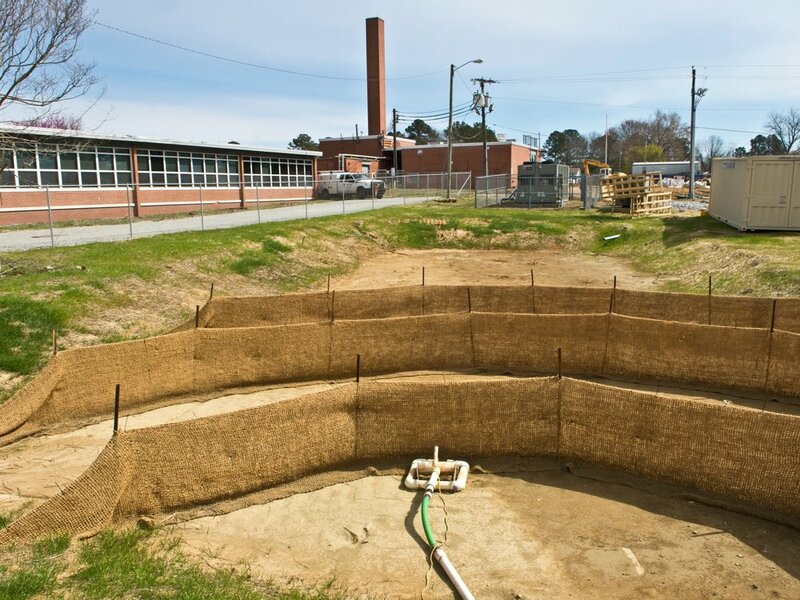 Engineering services included an overall master site plan, site demolition, erosion and sediment control, grading,drainage, nitrogen export loading calculations, water and sanitary sewer, and other details. 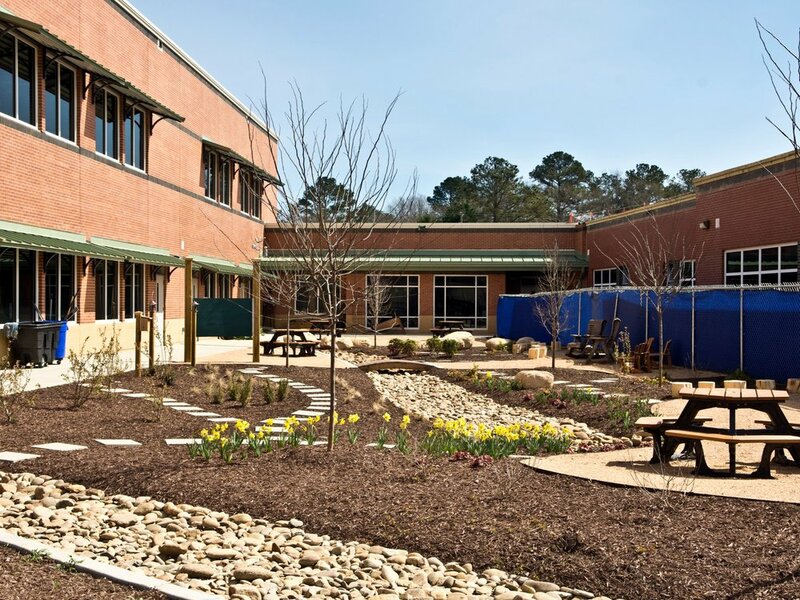 Project management includes site visits and design phase meetings with the owner, the architect, the Town of Fuquay-Varina, and review agencies. Landscape services include overall site planting design to bring the entire site into compliance with the Town of Fuquay-Varina Land Development Ordinance regarding landscape requirements. John Ramsay, AIA, Ramsay GMK, Inc.